Work on the construction project has been resuming this week after a construction-related roof leak poured water into a corner of the library's 4th floor early last Friday morning. The source of the water, apart from a heavy rainstorm, was apparently two holes mistakenly drilled all the way through the roof as part of some work installing rebar by a subcontractor, no longer on the project. The holes were quickly plugged and new work rules will require that hole-drilling and other potentially sensitive work above have more multiple checks by more parties before the work site is vacated each day. The event was a stark example of the construction project’s complexity and low margin for error. Since then workers have been focused on drying out the carpeting and baseboard that had been wet—mostly on the northwest corner of the 4th floor. An area of the 3rd floor where some water had leaked through from the floor above was quickly dried with little damage since plastic sheeting had been draped over the book shelves there relatively quickly after the flooding was first noticed above. Several 4th floor offices also in the northwest corner of the building had water damages, for which repairs have begun. 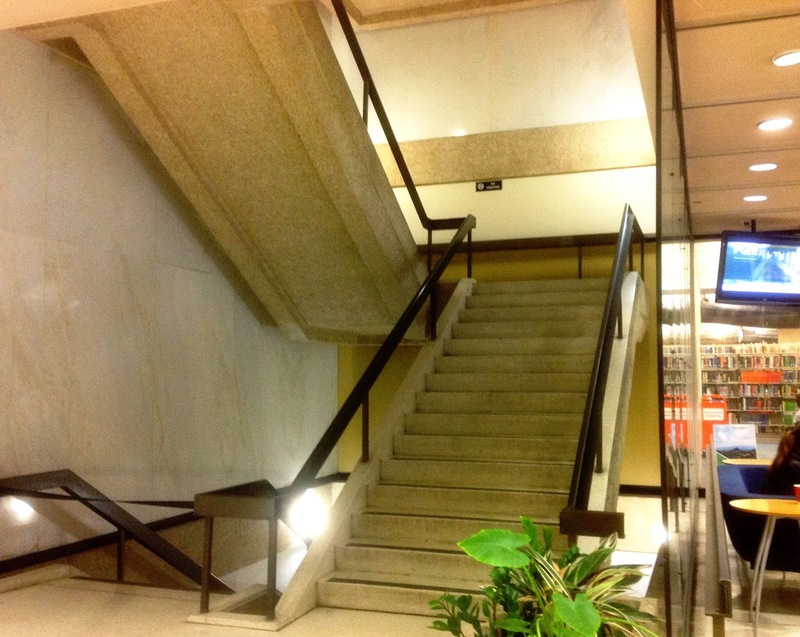 The contractor was able to continue with its interior work in the library's central stairwell and chase largely uninterrupted by the remediation work elsewhere. The water that poured directly onto some bookshelves produced about 2,500 wet books. Of those, about 2,200 were boxed, frozen, and shipped off to a restoration facility in Ft. Worth, TX, last Friday night and Saturday morning. We were able to separate out about 300 very wet books that had coated paper or obvious damages that made them better candidates for replacement rather than restoration. The affected books were those with call numbers beginning with DA, which are applied to titles dealing with the history of Great Britain. Perhaps as many as as 28,000 dry books needed to be quickly removed from areas near the water on the 4th floor, pulled mostly from lower shelves so that carpet and floor could be dried underneath the shelving. These are now housed on about 60 book carts, temporarily stored in the basement, and can now be reshelved. While the books on each cart would have come from roughly the same general location on the 4th floor, they are unlikely to all be in exact order on the carts and the carts themselves are also in no particular order. The roof leak will have a relatively long tail as the library works through the event's restoration, replacement, and processing aspects—although, fortunately, each at a far smaller scale than we have worked through before. After all, flood remediation is the central purpose of the construction project and we have some previous experience with wet materials--having handled more than 1 million items from restoration, donations, and initial replacement purchases after Hurricane Katrina. The contractor for the construction project will need to close, in two phases, the restrooms adjacent to the elevator lobbies on floors 3 and 4 as part of the work required to build shear wall supports in the center of the library building. Restrooms on floors 1 and 2 should be unaffected. The smaller restrooms on the basement level at the foot of the former entrance stairs leading down to the staff and snack lounges will also still remain available. During the first closure phase the women’s restrooms on the 3rd and 4th floors will be blocked off in order to remove the wall between them and the central stairwell. During the second phase the men’s restrooms on the same floors will be closed in order to remove the wall between them and the building’s central chase (a large hidden central air duct that is adjacent on the opposite side). The emergency stairwell on the north end of the library building, the side closest to Dixon Hall, will serve temporarily as the building’s main stairwell while the center stairwell adjacent to the elevator lobby is closed off due to construction. To get to the alternate stairwell on the first floor just walk past the elevator lobby and the PJ’s coffee stand, through the glass double doors, and into the 1st floor Quiet Area. 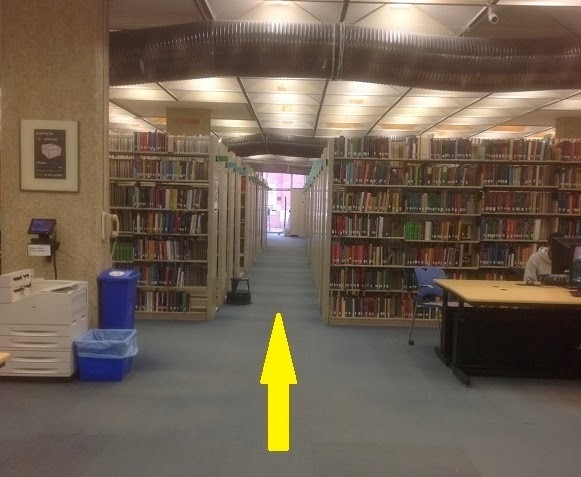 Then continue straight ahead for about 75 feet along the aisle in the book stacks with yellow arrow signs [to be placed in the area by workers on Monday]. The entrance to the stairwell is at the end of the aisle. The stairs are in this same location on each of the upper floors. A second emergency stairwell on the Freret Street side of the building will at least for now remain designated for use in emergencies only. The center stairwell is scheduled to be closed off next week so that that a concrete supporting wall (shear wall) spanning the top three present floors of the library can be built there. The interior shear wall supports that have been under construction in various locations throughout the library over the past few months will effectively serve as anchors for the structural frame of the library's two additional floors. The central stairwell is projected to be unavailable until Aug. 15. Construction of a sheer wall support within this stairwell will require removal of large sheets of marble to be reinstalled later, and this alone could not be accomplished safely without closing the stairwell off. The contractor and project managers say the lengthy time period that the stairwell will be blocked off is required to accommodate the careful removal of the marble, the demolition of the cinder block wall behind the marble, and construction of the poured concrete shear wall slab from the 2nd floor upward. Then the marble must be successfully rehung and the stairwell returned to form with new taller railings installed to meet modern building codes and to match those that will be in the new portion of the stairwell on floors 5-6. Eventually, workers will also need to build a pressurized glass enclosure with doors at the entrance to the stairwell on the 1st floor in order to comply with fire safety codes. By the time those tasks are completed in June, the contractor should be ready to open the roof over the stairwell to an unfinished level 5, which accounts for the additional time that the stairwell is expected to be blocked off. For assistance please see the staff at the main desk in the 1st floor Learning Commons. 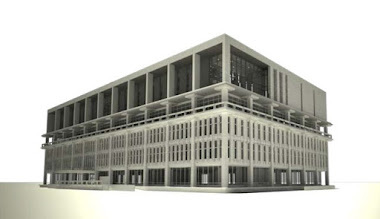 The contractor for the 5th and 6th floor construction project has finalized a plan to build a concrete supporting wall (shear wall) within the library’s central stairwell and the plan includes closing public access to the stairwell very soon. At this point the stairwell closure is scheduled to begin as early as Feb. 10 and projected to last until Aug. 15. All existing floors in the building will be affected, but will still remain in use. While the central stairwell is blocked off, the library will have use of both of its emergency stairwells: on the Freret Street and Dixon Hall sides of the building. Library users will be able to use to at least one of these, on the Dixon Hall side of the building, as a temporary alternative to the center stairwell. 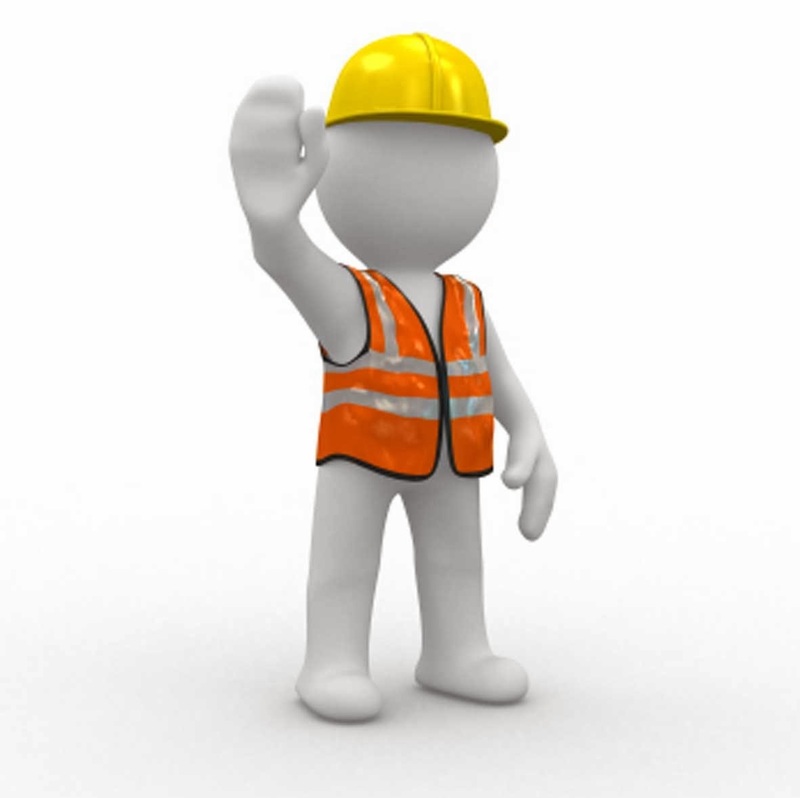 Project managers will be preparing directional signage. The building’s elevators will still be operational. Construction of a shear wall support within the central stairwell will require removal of large sheets of marble to be reinstalled later, and this alone cannot be accomplished safely without closing off the stairwell. The contractor and project managers say the lengthy time period that the stairwell will be blocked off is required to accommodate the careful removal of the marble, the demolition of the cinder block wall behind the marble, and construction of the poured concrete shear wall slab from the 2nd floor upward. Then the marble must be successfully rehung and the stairwell returned to form with new taller railings installed to meet modern building codes and to match those that will be in the new portion of the stairwell on floors 5-6. Eventually, workers will also need to build a pressurized glass enclosure with doors at the entrance to the stairwell on the 1st floor in order to comply with fire safety codes. By the time those tasks are completed in June, the contractor should be ready to open the roof over the stairwell to an unfinished level 5, which accounts for the additional time that the stairwell is expected to be blocked off. Meanwhile, the crane for the project is still scheduled to begin to arrive on Feb. 10, which will be a major undertaking since it will be delivered in pieces to the construction site on 23 separate trucks.